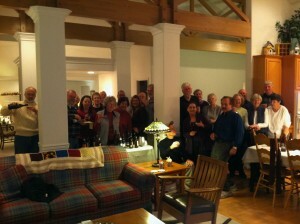 Saturday, November 12th there was a Taste to Learn event at Tom and Claudia’s. It was a Holiday Ale tasting of 16 + beers made especially for the season. This was a very well attended event with great enthusiasm. It was a lot of fun trying so many beers all at one location. Sharing of attributes and personal palette perceptions was a delight for all. We must do a beer tasting like this next summer!